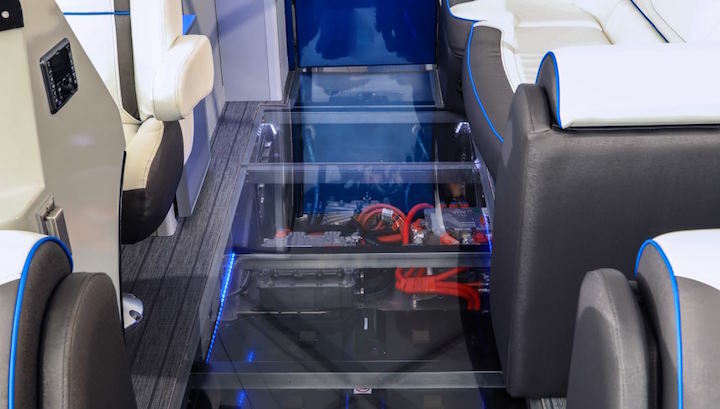 General Motors subsidiary GM Marine quietly unveiled a new electric pontoon boat at the recent 2019 Miami International Boat Show, furthering the automaker’s efforts to popularize electric propulsion methods of all kinds in the United States. 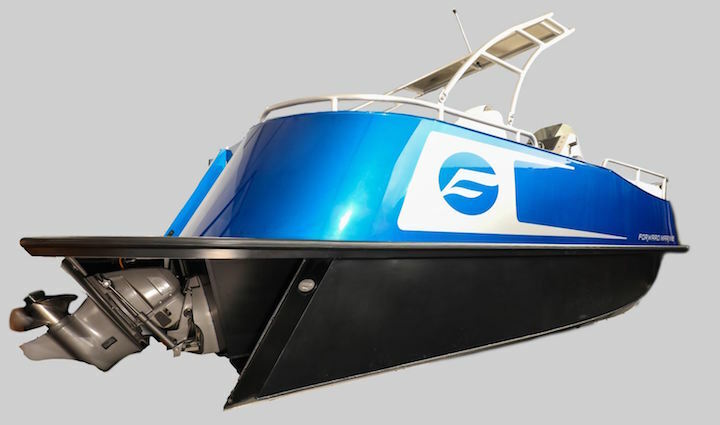 The electric GM boat, officially called the Forward Marine FIRST, features an automotive-sourced single electric motor and a 60 kWh lithium battery pack. While not officially confirmed by GM, it seems likely that this powertrain is simply a modified version of the Chevrolet Bolt EV’s propulsion system. It can allegedly provide enough energy for up to 10 hours of boating (it’s not clear what cruising speed this figure was measured at) and will carry the pontoon boat to a top sped of 20 mph. Charging this 4,700 lb beast, which also features a custom 1/8-inch-thick aluminum pontoon hull built by GM Marine, is the company’s 110-volt charging outlet or 220-volt SAE charge station. 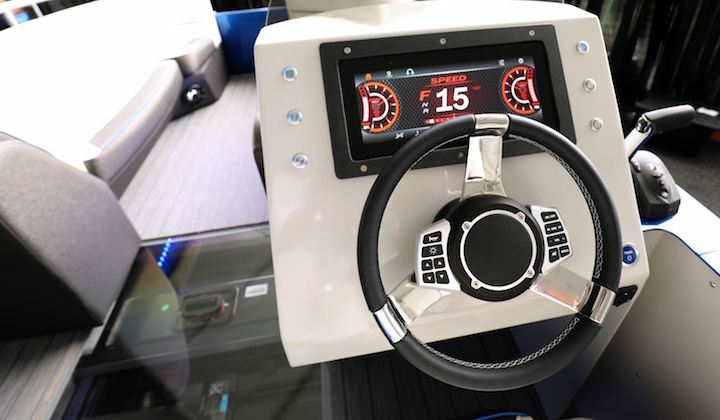 The GM boat has some luxurious onboard amenities as well, such as a stainless steel barbeque grille, a television and a digital driver’s display screen. More information on the GM boat will soon be available through Forward Marine’s website. It is only a concept for now, as far as we understand.